Are you ready to get your hands on these oils! First I just want to let you know you are NOT signing your life away when you become a member. You are more then welcome to order oils as a retail customer OR you can become a member and get the oils for 24% off. I say “member” because if that is all you want to be then you can be just that. Young Living uses the word “distributor” but never think of yourself as that unless you want to do the business. After you buy the starter kit, you are never required to buy a certain amount each month. You are never required to tell anyone about the oils. You simply are now able to buy them at a discount price. It like a Costco membership, except you are buying a membership to receive a discounted price on your oils. Also instead of a little plastic card for your membership dues, you get a amazing starter kit!!! And one more thing, you don’t have to pay each year to renew it!!! The kit I recommend for everyone is the Premium Starter Kit. This kit starts at $160 and goes up depending on the diffuser you choose. I love the kits with the Home. There are other kits you can choose from, however this kit gives you the best BANG FOR YOUR BUCK!! This kit comes with the Premium Essential Oils Collection. The collection includes a 5ml bottle of Peppermint, Thieves, Di-Gize, RC, Lavender, Frankincense, Copiabi, Lemon, PanAway and Purification. You can read more about these oils here. But that’s not all….. You also get to choose between 4 amazing diffusers. The Home Drop Diffuser($160 kit), the Bamboo($170 kit), the Rainstone diffuser ($205 kit) and the Aria ($260 kit) The retail cost alone for these diffusers vary from $84 – $300. It’s real simple. These kits are a REALLY, REALLY good deal!!!!!! You also get 2 sample packets of the tops oils, a roller top for one oil, 10 3/4 ml sample bottles plus two 2oz single packs of the AMAZING NingXia Red. This stuff Is AWSEOME!!!! They also have added another oil. A bottle of Stress Away . It smells AMAZING diffused and melts the stress away. So if your budget allows, this kit is by far your best choice. If you want to check out the kit even closer, you can watch this video of my unboxing the Premium Starter Kit. Are you Ready to Order????? OK , I’m sure by now you are thinking, I’m ready to order these amazing oils, were can I do that? Just click the picture below and you will be sent to my sign up page. Here are some instructions just in case. 1.Choose Member to receive a 24% discount on all Young Living products. Please remember, there is no requirement to sell products and no minimum to buy each month as a member. 2.This part should be filled out already if you clicked on my link, but just in case, enter my number 1944663 in both the sponsor ID box and the enroller ID box. 3.Select your country and language. 6.Create a username, password, and 4-digit pin. It is important to remember theses as you will need them to contact service and log in to place orders. 7.Select your “tax information” choice. As we said above you never have to sell or do business. This will only be used if you decided later to do the business. Otherwise it will never be used. Remember, you do not have to do any business to receive the 24% discount. 9.Choose the Premium Starter Kit. It’s the one I was telling you about. The BIGGEST BANG for your buck!!! 10.I love participating in Essential Rewards (ER). It earns me free oils on orders I would be placing during the month anyways. However, I wish it wasn’t on the sign up page. Feel free to click ‘No Thanks”. The rewards are amazing but I want you to fall in love with the oils before you sign up for auto-ship. If you want to learn more about ER please go here. 11.Clicking No thank You will take you to the checkout page. 12.Select your shipping method. Shipping usually takes about 10 days. 15. On the next page confirm you order and add more oils if you would like. YAHOO!!! You are all signed up. Please be sure to let me know when you get your kit. If you’re on Facebook take a picture of your kit when you get it and tag me in it. Also check out our Facebook page. While you’re waiting for your kit to arrive, you can start learning more about how you can use these oils by reading this post. Thank you for your support!! 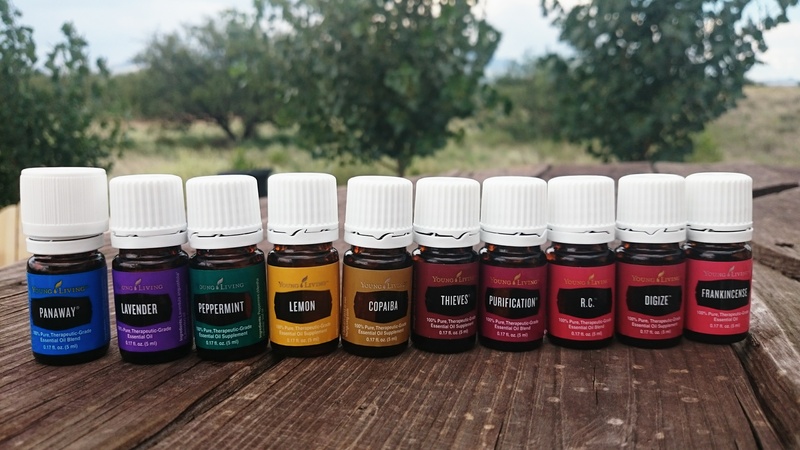 I cant wait to hear how you will use these amazing oils. As always please contact me if you have any questions.